Create redstone contraptions such as clocks, doors and elevators. Go beyond simple circuits; learn about logic gates and use this knowledge to build functioning computer parts using redstone. Design your dream home. Will it be a little house nestled on the hillside or an impregnable fortress with a moat and drawbridge? Learn how to move your world from computer to computer, or download and explore creations from the vast community of Minecrafters online. 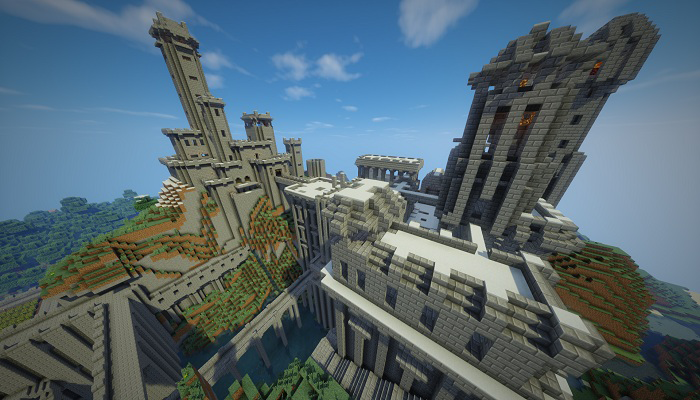 Adventure maps: Learn how to put these skills together to make the ultimate challenge for you and your friends. Design complex parkour courses or tower defence minigames. Students will need to have their own Minecraft Account.